The York Hummingbird Adult Cremation Urn is distinguished by its simple lines, raised beveled top, and white on white cultured marble. A color image of a hummingbird and flowers is painted on the urn. Cultured marble is much more durable than natural marble, thus making it the ideal material for cremation urns which are meant to last for eternity. This urn loads through the bottom and seals with a threaded plug. This urn can be personalized with up to four lines of text which can be in any color. The computerized program then "paints" the text onto the urn. Please click on the small print below the photo of the urn to view the engraving fonts. 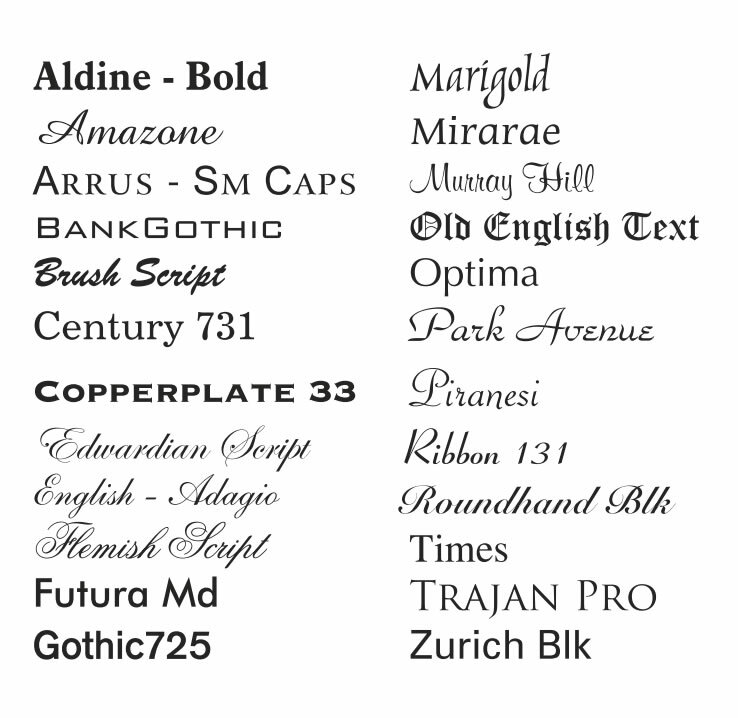 Write your engraving font selection in the blank space next to the option called Engraving Font. Please limit engraving to no more than about 25 characters per line. The more text per line, the smaller the font size will be. An engraving proof will be emailed for your approval prior to the urn being engraved and shipped. Please allow one business day after proof is approved before urn ships.